Sony has launched another range of Bravia LCD TVs to accompany the D3000 series we featured yesterday. The new S3000 series sets will be available in 32-inch and 40-inch guises initially, but will be joined by sets ranging from 20-inches to 46-inches in size this autumn. One of the key features of the new TVs is the inclusion of Sony's proprietary Wide Colour Gamut (WCG) backlight. 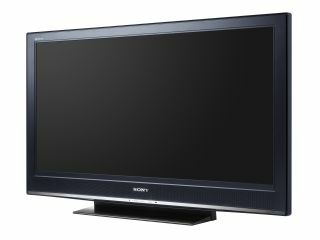 This is closely matched to the LCD panel, enabling the S3000 series to display many more colours than would otherwise be possible with a regular LCD TV - or so the company claims. Sony is also claiming a very wide 178-degree viewing angle for its S3000 series TVs. Backing up the picture is Virtual Dolby Surround with BBE VIVA sound spatialization technology. This creates a virtual centre channel to deliver enhanced dialogue and sound effects. BBE VIVA also promises enhanced bass levels and a sharper treble - all of which should hopefully make your TV viewing experience a better one. Other goodies include Bravia Theatre Sync - a featured shared with the D3000 series. This enables you to control any device connected to the TV via HDMI using a single remote, so you could switch on the TV, your Blu-ray player and a home cinema system with a single remote. Bravia Theatre Sync uses the HDMI-CEC protocol. Sony hasn't been miserly with the number of HDMI ports either - the S3000 series has three, two on the back and one on the side so you can easily hook up a high def camcorder with a matching HDMI connector. The TVs also come with two Scart sockets for older devices like VCRs and DVD players. All models also include hybrid analogue and digital terrestrial TV tuners. We hope to bring you more details, pricing and launch dates for the TVs soon.